Professional translation services are being provided by Live Document Translation no matter if you want to use translation by phone, live translation, or written translation. We would never cut on the quality in order to provide cheap services, yet with us you get the lowest rates in the market. The professional credibility of the translator is of utmost importance so that the translation could not be questioned for its accuracy. 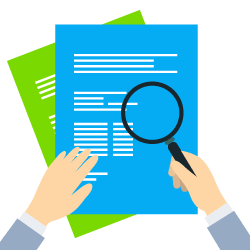 The written translation process will also include proofreading by another professional translator so that the content will be checked and double-checked for its accuracy. Our live translation service and our interpretation services are performed by carefully checked translators and interpreters with years of experience in their field. Our rates are most reasonable and economical and are built so that the client will not feel like translation is out of their reach. Our translation by phone service is paid per minute, and it is the most economical way to quickly find out what a document is all about. Interpretation services are also charged per minute, while written translation is charged per word. No matter what service you want to use, you can rest assured our rates are the cheapest you can find. All our services are available around the clock, including during the weekend. We understand clients who are in need of a fast translation no matter if it’s written or by phone and we do our best to provide just that. While some other companies will charge you extra if you need your translation in a hurry, we won’t. With us you’ll pay the same price you’d pay if you’d need your translation done today or in 2 months. In today’s world, languages are going to be more and more important. The business world is going to be faster and faster. Important decisions need to be made much faster and because of the internet, the world became smaller and smaller. Professional translation services are a must have today. Google translate is one of the tools that companies and people start to use; however in many cases the rough understanding of a document is clear but not clear enough to exactly understand what is written. In this situation you can decide on getting the document fully translated by a professional translator. Document translation is paid per word and can be very expensive depending on the length of the document. Also, document translation takes time, and time is one thing you can’t afford to lose in business. With our brand new service, you get an extra option: Live Document Translation. Live Document Translation makes it possible with this new service to save money on your translation budget. This type of translation is available for anybody who is in need of the service. 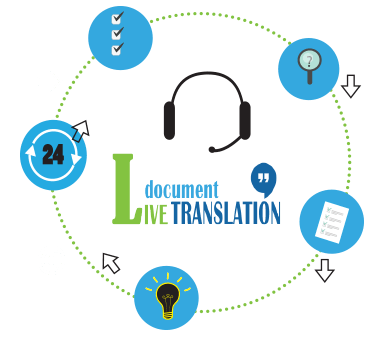 Live Document Translation is a revolutionary system where the client can save a lot of money on professional translation services and he can find out in advance if a document really needs to be translated. Sometimes only understanding the content of the other language by having a translator on the phone can be sufficient instead of investing time and money in letting the document translated by a translator. Our new translation over the phone service makes this possible. As today time is money. We all try to make everything more efficient and less time consuming in order to raise the profitability of our life and our business. We start to look for the best ways of doing business and the fastest ways of resolving problems. As the world moves forward, and we get more connected to other countries on the planet and other languages, we are in need of good tools that we can quickly use to understand the other language. With our online translation services, we are closer to you more than ever. With a click away you schedule the call with the translator in minutes. Simple, Easy, Fast and Affordable. Create an account with us, send us the document that you want to translate, schedule telephone translation meeting and wait for the phone call from us. Beside live translation, we also offer of course written document translation. 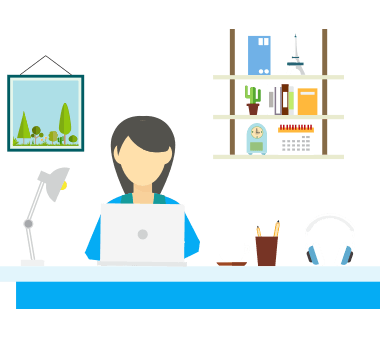 This is the conventional translation service that is provided by the team because the need for written translation will never end for the world. The content that is translated in this way will have the utmost credibility and complete stamp of confidence and approval that comes with being done by professional translators. In this situation you already decided to let your document translate by a professional translator. So you receive your document translated in the language you want to receive it. Here you are charged per word instead of per minute like the Live document Translation Service. We have professional translators for just about any language and we are able to translate any kind of document in over 500 language combinations. After your document has been translated, it will be carefully checked by a second native in order to eliminate possible errors. You can easily request a quote for the document that you want to get translated. We will provide you with a quote in 5 minutes or if you want you can contact our project managers live online by using the “Questions? Ask us now!” button. Some languages are more expensive than others when it comes to other companies. Phone interpretation may be more expensive if the subject is highly technical in nature. With us, you don’t have to worry about that: we charge all languages at the same price, we don’t have any hidden charges or rush rates, yet we sport the lowest prices on the market. Even more, some discounts may be offered at times, and they will be included in your quote. For instance, if you already had a document translated on the phone and later decide to have written translation, you’ll get a special price for that. Our live, professional translation services are available for you 24 hours a day, 7 days a week. The system is easy to use, it only takes minutes to create your account, upload your document and schedule your translation call. Now you can have your translation summary and answers to all your questions on the phone, fast, easy and affordable. Create your account now!